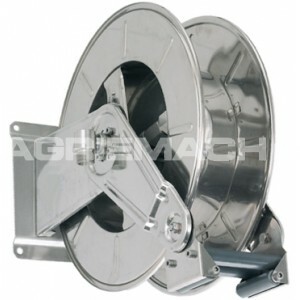 The Stainless Steel High Capacity Bare Fuel Hose Reel is an automatic reel supplied without hose, making it ideal for a range of applications. 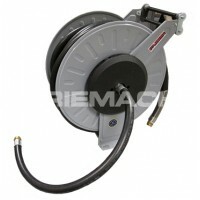 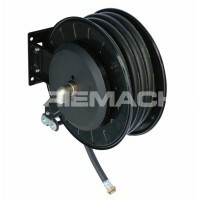 Thanks to its high volume design, this retractable diesel fuel hose reel is capable of dealing with environments where a longer length hose is required. Its stainless steel AISI 304 structure makes this hose reel ideal for heavy duty conditions as well as applications where a more aggressive fluid may be involved. 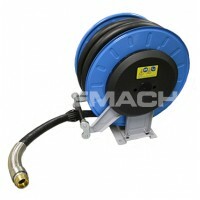 This fuel hose reel benefits from a twin pedestal design which aids performance and reliability, and adjustable arm brackets for easy positioning.